Today morning I logged in to Gmail and was pleasently surprised to see a yellow information announcing Themes in Gmail. 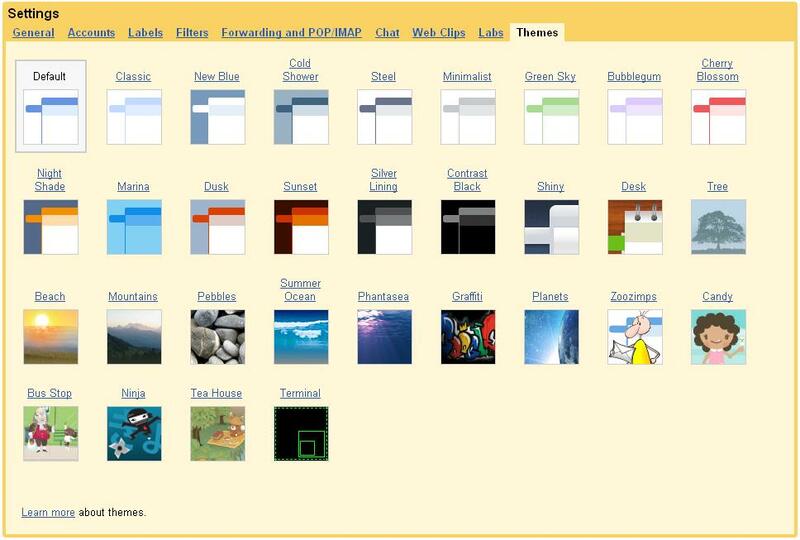 Looks like Google is enabling themes on a step by step basis for everyone. If themes have been enabled in your account, go to this link. This is how the themes UI looks like. Click on the image for a bigger view. Has it been enabled for you?